After suggesting embassy would be moved within 2 years, Tillerson says move unlikely to be completed during Trump's first term. The US embassy in Israel is unlikely to be relocated to Jerusalem during President Donald Trump’s first term in office, Secretary of State Rex Tillerson said this week, changing his original estimate of two years needed to build a new facility in the Israeli capital. Last Wednesday, President Trump formally recognized Jerusalem as Israel’s capital city, and ordered the State Department to begin work on relocating the embassy, currently located in Tel Aviv, to Jerusalem. On Friday, Tillerson suggested the move would take as much as two years. This week, however, Tillerson said that completing the move in even three years would be “ambitious”, stating that it was ‘unlikely’ the embassy would be relocated during President Trump’s first term. Following the president’s December 6th announcement, Tillerson vowed to “immediately begin the process” of moving the embassy. 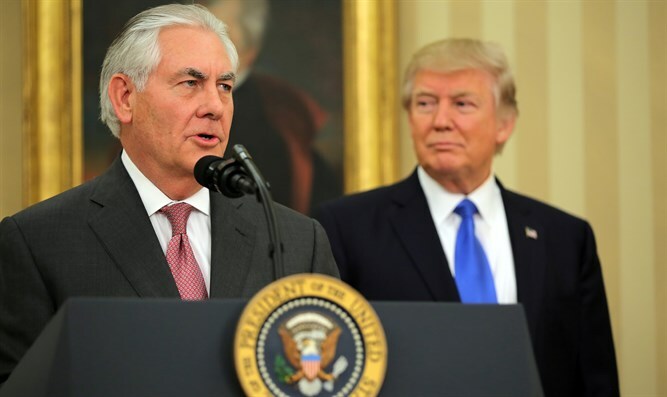 "The State Department will immediately begin the process to implement this decision by starting the preparations to move the US Embassy from Tel Aviv to Jerusalem," Tillerson said during a visit to Germany, shortly after Trump's landmark announcement. Earlier this week, the Zionist Organization of American and Florida Republican Congressman Ron DeSantis slammed the State Department after it was announced that no changes would be made to the department’s policy of refusing to list Israel as the place of birth for American citizens born in Jerusalem. “At this time, there are no changes to our current practices regarding place of birth on Consular Reports of Birth Abroad and U.S. Passports,” the State Department told The Associated Press last week. The ZOA also slammed the decision not to alter the State Department’s policy, arguing that it violated a Supreme Court ruling on the matter. The ZOA noted that as per the US Supreme Court’s 2015 ruling in Zivotofsky v. Kerry, the State Department is obliged to adhere to the president’s decisions vis-à-vis recognition.